Mizoram was the next state to be Christianised. There was a sudden spurt in the number and share of Christians in the total population during 1911-1931. And, in the next two decades spanning 1931 to 1951, nearly the whole of the tribal population of Mizoram was converted to Christianity. The share of Christians in the population of Mizoram in 1951 was above 90 percent; it was less than three percent in 1911. This state was Christianised mainly in the decades following Independence. 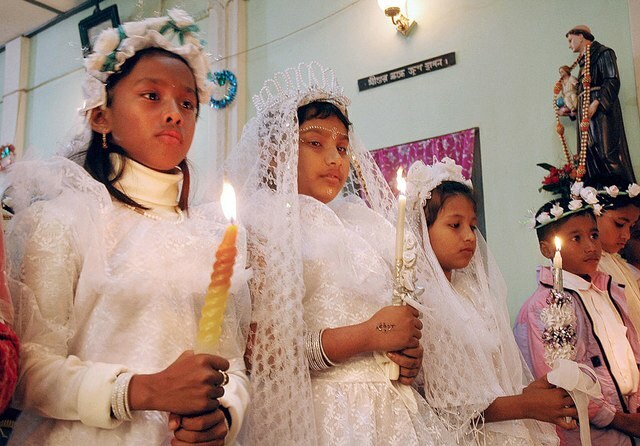 The share of Christians in Manipur now is 41 percent. It was around two percent in 1931 and 12 percent in 1951. The share of Christians in the total population seems less than in the neighbouring states, but this is mainly because of the large non-tribal population of the Manipur Valley. The hill districts of Manipur, which have mainly tribal populations, are almost fully Christian now. Christianisation of Nagaland happened mostly in the decades leading to and following the Independence. The share of Christians in the population of the state was around two percent in 1911, which increased to 13 percent in 1931 and to 46 percent in 1951. By 1991, the share of Christians reached above 87 percent. By that time, the tribal population of Nagaland was nearly fully Christianised. Of the Scheduled Tribes population of 10.61 lakh counted in that year, 10.44 lakh were Christians, and they formed more than 98 percent of the population of the Scheduled Tribes. Arunachal Pradesh remained beyond the reach of the Church until 1971, when the area was brought under civil administration. Since then, the share of Christians has been rising rapidly from decade to decade and has reached above 30 percent now. Many of the tribes of Arunachal Pradesh have now acquired large Christian majorities. Assam, like Meghalaya, had acquired a significant Christian presence already in 1901. About 22,000 Christians were counted in the state at the time. These early Christians were mostly from the migrant tribes in the tea plantations of upper Assam. The number of Christians in Assam has since multiplied 85 times, and their reach has spread to many of the indigenous tribes. Their share in the population, however, is much less than in the surrounding hill states. Christians had a share of 0.4 percent in 1901. Their share in 2011 reached 3.75 percent. 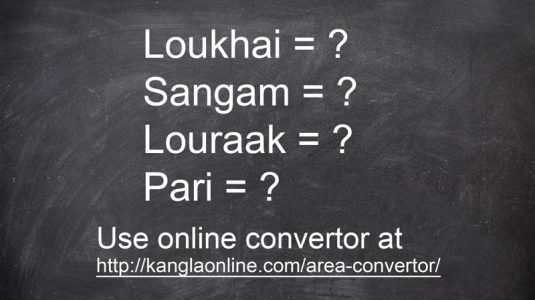 Their share in the tribal-dominated districts of Karbi Anglong and Dima Hsao, and in some of the Bodo districts, is much higher. There were only about 5,000 Christians in Tripura in 1951. Today, the number stands at 1.6 lakh. Much of the rise has taken place after 1981 and particularly during the last two decades. Sikkim, in the neighbourhood of the northeast, has also seen rapid expansion of Christianity since 1971. The share of Christians in the population there has reached nearly 10 percent from less than 0.8 percent in 1971. There has been a similarly rapid rise in the share of Christians in the neighbouring Darjiling district of West Bengal. The history and timing of Christianisation of the northeast indicate that administrative, political and strategic impulses have played a large role in this phenomenon. The early beginning of Christianisation in the hill states of the region was encouraged and facilitated by the British administrators. This facilitation went to the extent of vesting the entire responsibility and budget of school education on the church in the area that now forms Meghalaya. Christian missionaries obtained similarly close cooperation from the British administration in the Lushai hills, which now form Mizoram. The tentative spread of Christianity through the cooperation of the British administration in the earlier part of the twentieth century was followed by a great spurt at the eve of Independence. The data clearly shows that Christianity got entrenched in the tribal populations mainly during 1931-51. In that period and following Independence, the Church began to inspire and lead the various militant assertions of tribal and regional sub-nationalism in this region. This seems to have helped the continued expansion of Christianity throughout the region after 1951. Read the full note and analysis here.